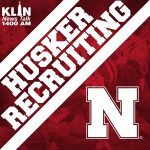 2019 signee out of Western Nebraska Community College, Jervay Green, announced on his twitter page Sunday afternoon that he’ll be sticking with the Huskers. The 6-3 guard had originally committed to NU back in September of 2018 when Tim Miles was still head coach, according to 247sports.com. This past season, Green averaged 23.6 points and 5.7 rebounds per game. He was the first player Nebraska head basketball coach Fred Hoiberg met with after he was officially hired on March 30th. Green was also present at Nebraska’s spring game on Saturday.